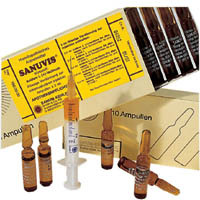 Categories: Anti-aging medicine, Facial rejuvenation, Mesotherapy substances. Tags: glutathione, skin whitening. 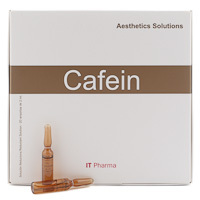 Actives: Glutathione 600, Glycolic Acid, Kojic Acid, Vitamin C, Citric Acid. Pigmentation on the skin due to age, sun exposure or disorders such as melasma have led to a need for the development of formulations such as BCN Melano which, thanks to its five active principles, carefully selected for their depigmentation and antioxidant effects, are able to treat these changes to the skin and restore its smooth, even and luminous tone. These five ingredients are glutathione 600, glycolic acid, kojic acid, vitamin C and citric acid. Glutathione has a high concentration of 600 mg per gram of tissue and, together with vitamin C, makes this product a powerful antioxidant for the skin, reducing the damage caused by free radicals which are a harmful by-product of sunlight, smoke and pollution. Similarly, glutathione plays an important role in protecting the cell during ageing, acting also as a detoxifying agent and inhibiting the synthesis of melanin. 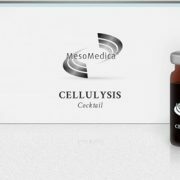 This capacity makes it an essential component in the treatment of melasma, which is nothing more than a hyperpigmentation of the skin, characterised by the presence of irregular patches of light brown to greyish brown colour in the areas of the face exposed to the sun and which can also appear during pregnancy, when taking birth control pills, or among those with dark skin. This last action is strengthened with the presence of kojic acid (5 Hydroxi 2-Hydroximethyl-γ-Pyrone) in the formulation, since this is a powerful inhibitor of the production of melanin, which is why it is also known for its “whitening” effect. It presents the advantage of not staining the skin even when it is exposed to the sun and is not toxic to the cutaneous cells, as is the case with other depigmentation products. Therefore, apart from treating the spots, it gives the skin a more uniform tone and makes it more luminous. Numerous studies have demonstrated its depigmenting effect after exposure to ultraviolet radiation, equivalent to the effect of a sunscreen (Mishima, Nair and Tramposch et al.) and its beneficial effect on melasma (Mishima Y 1987, Nakayama H et al 1981 and 1982 and Minami K. 1982). Similarly, it is characterised by excellent tolerance, which has also been made clear in the various clinical trials that have been conducted. 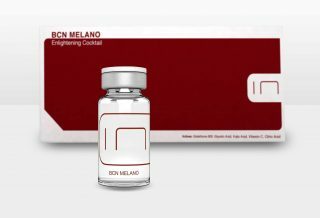 Another of the components of BCN Melano is glycolic acid, α-hydroxy acid (AHA), used more frequently. Thanks to its exfoliating effect, it is used to reduce the barrier of the stratum corneum and increase the penetration of the other topical agents, at the same time as stimulating the growth of the skin and collagen. The result is a much smoother skin and a more youthful appearance. Another advantage of glycolic acid is its capacity to deposit hydrating agents inside the surface of the newly exfoliated skin, reducing the appearance of fine lines and wrinkles, age spots, and improving sun-damaged skin, making it an agent that works in total synergy with the other components of this formula. Vitamin C is a very effective antioxidant which neutralises free radicals, inhibits melanin, stimulates the growth of the hydro lipid film and increases the synthesis of collagen. Its topical use is vital for curing wounds and burns caused by the sun, since it also helps stabilise collagen and repair elastic tissue. 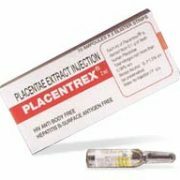 It is used in the prevention and treatment of photo-ageing, as well as the appearance of “broken blood vessels”. Finally, citric acid is an organic tricarboxylic acid used habitually in cosmetics for its antimicrobial and antioxidant effect, which contributes to the stability, effectiveness and improved appearance of the final product, as well as adding its antioxidant action to that of the other active principles. Enlightening treatment softens pigmentations on face/body. Apply on clean and dry body/face skin and massage until complete absorption. Aqua/Water, Glutathione, Kojic Acid, Sodium Hydroxide, Glycolic Acid, Sodium Ascorbate.